Meet Molly , she's inspired by a retro tunic found in my favourite Paris vintage shop and is a great all year rounder in 100% pure cotton . 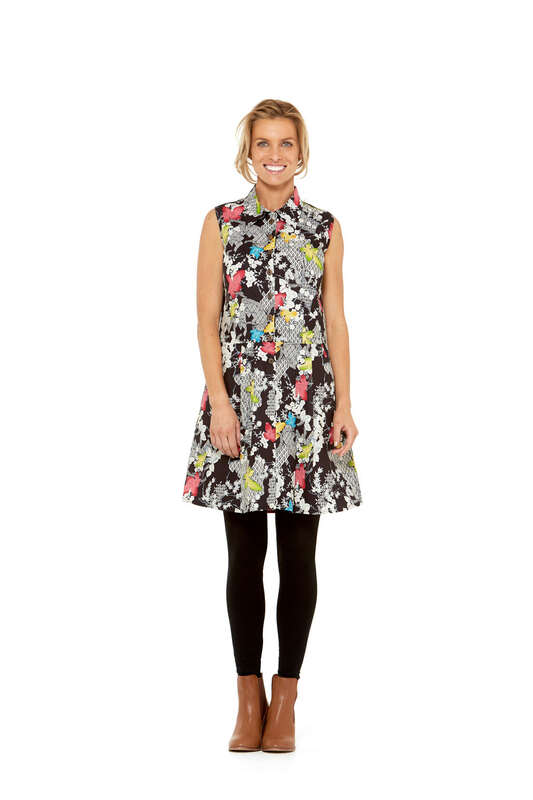 The Rasaleela Molly Tunic has a great pleated A line shape skirt with deep side pockets to put your important stuff in . In our exclusive Nikko print, a standout Japanese print with motifs and leaves in multi colours. Team Molly with leggings,jeans, jeggings or as is .Shes good to go all year round !